"hola estoy muy satisfecha con la entrega del pedido y la presentacion"
Serpentine jasper spheres. Serpentine jasper balls weigh about 500 grams and measured around 68 mm in diameter. 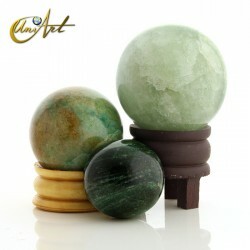 Samples of serpentine jasper spheres are presented in the image, a similar quality ball will be sent. The bases are sold separately. Quartz crystal ball of 14 cm. 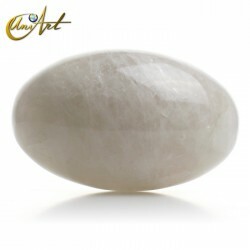 Sphere of 14 cm in diameter, carved in quartz crystal and with a grey tone. The piece weighs about 3.48 kilos. Base not included. Kyanite and ruby ball of 14 cm. Beautiful sphere of ruby in kyanite matrix. This mixture of stones offers a wide range of shades in color blue, green, purple, red ... 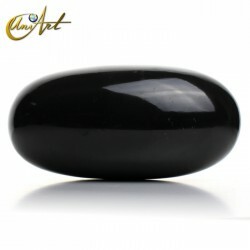 The diameter of the stone is 14 cm. It weighs about 5 kilos. Base not included. 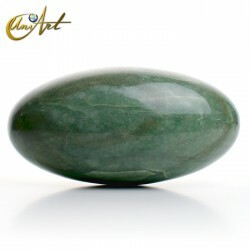 In this category you can buy crystal balls, spheres and eggs of different sizes, made from a great variety of crystals. 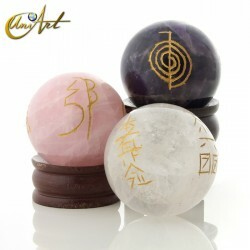 There are available for sale crystal quartz balls and other crystals as jasper, lapis lazuli, tourmaline, ruby, etc. According to the concept of the energy of shapes, the sphere is a geometric solid of great strength. 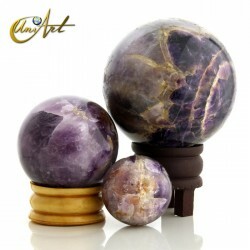 The use of stones for crafting balls and spheres adds to this powerful form the properties of the crystals. 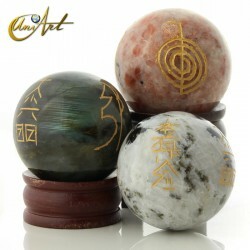 Therefore, many people when buy a ball, whether as a decorative element or for esoteric practices, they prefer it is carved on a stone that brings more energy power. 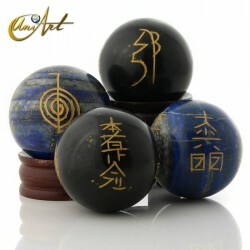 Spheres, also called balls, have an ancient mystical significance. The sphere represents perfection in three dimensions. It is also a symbol of wholeness and power of creation. But, besides the aspect of expansion there is the property of concentration, which can be determined by observing a magic ball that naturally concentrates the diffuse and weak light at a single point of great intensity. 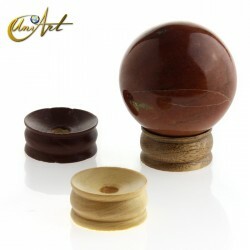 So that there are no mistakes when buying in "Spheres" category, we suggest you carefully check the descriptions and measurements of each product as it is difficult to assess the size of each ball on its image.